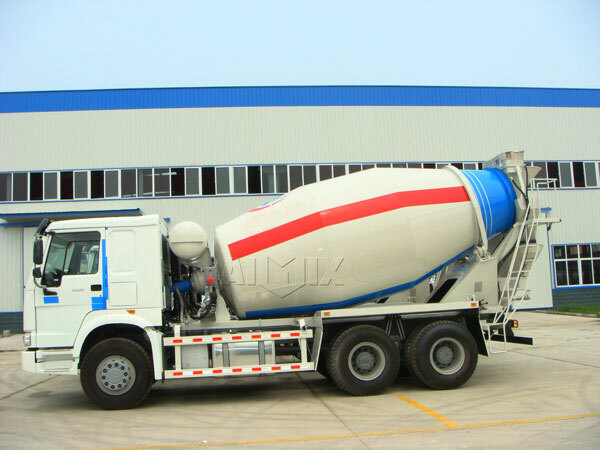 There are numerous concrete mixer truck manufacturers in the market, but we AIMIX GROUP, have been a leading enterprise in concrete mixer truck field. 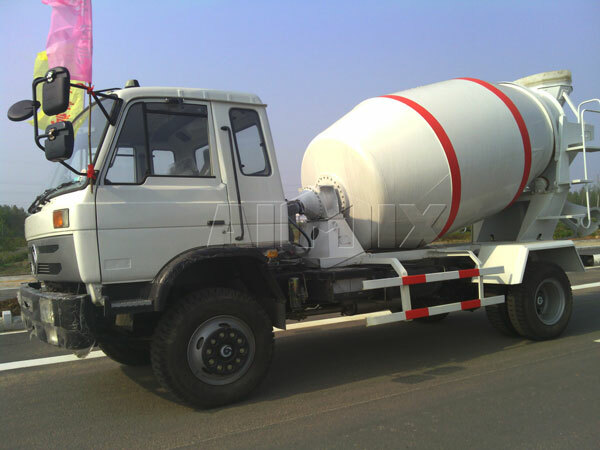 Up to now, we have developed many types concrete mixer trucks for most of users and their construction projects. 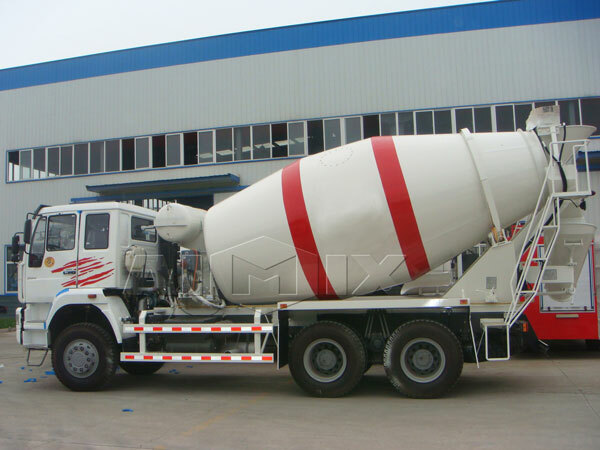 And it is nice to see our mixer concrete trucks for sale have been around the world and they are easy to operate and maintain. However, smooth operation is not our ultimate goal, we aim to maximize function of our machines and satisfy our customers with our sincere service and reasonable price. 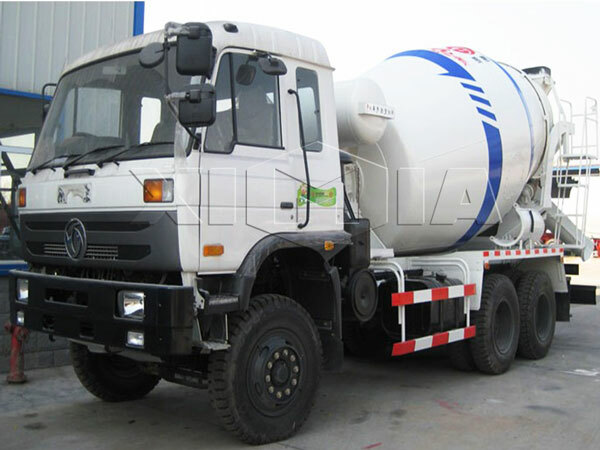 We are one of the most professional truck mixer manufacturers with the long history of more than 30 years. And we never stop to be excellent. On one hand, we constantly use advanced technology to examine and update our machines and make reasonable adjustment, on the other hand, we will learn from good manufacturers timely. We firmly believe that only cooperation and sharing can achieve win-win situation. Furthermore, we always put customers first, providing them with high quality and grade products as well as considerate service is our faith. If you want to learn more, please see this facebook page. 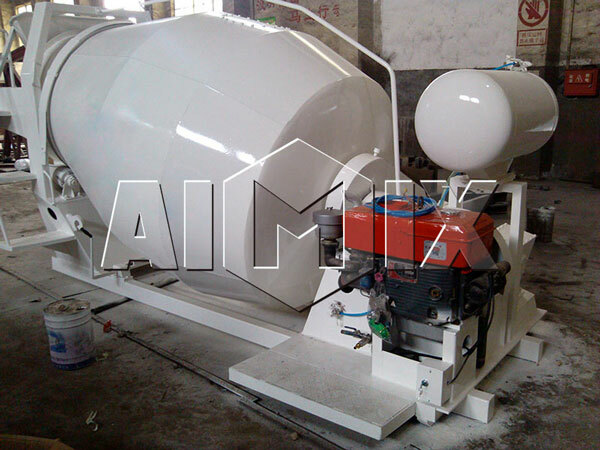 We mainly have truck mixers of 3m³, 4m³, 5m³, 6m³, 8m³, 9m³, 10m³, 12m³ and 14m³ for you. 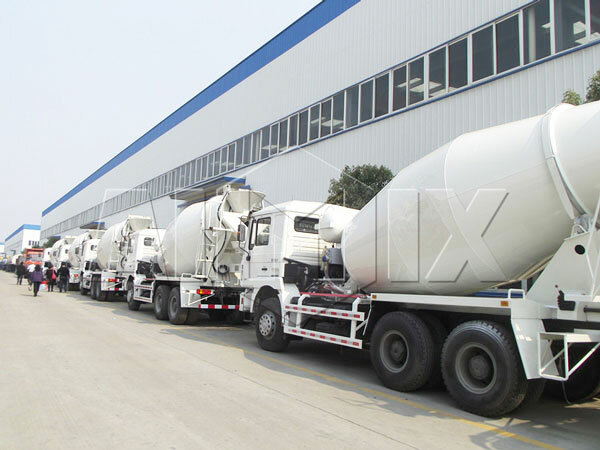 And our mixer truck is comprised of chassis system, hydraulic transmission system, mixer tank, discharging system, electrical system, feeding system, roller system, control system, auxiliary frame system and cleaning system. 1. Chassis system. 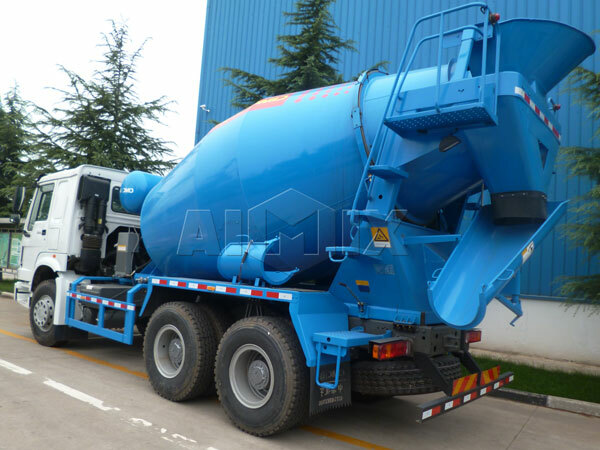 It is the main part in concrete mixer truck, transporting function of the whole concrete truck is accomplished by chassis. 2. 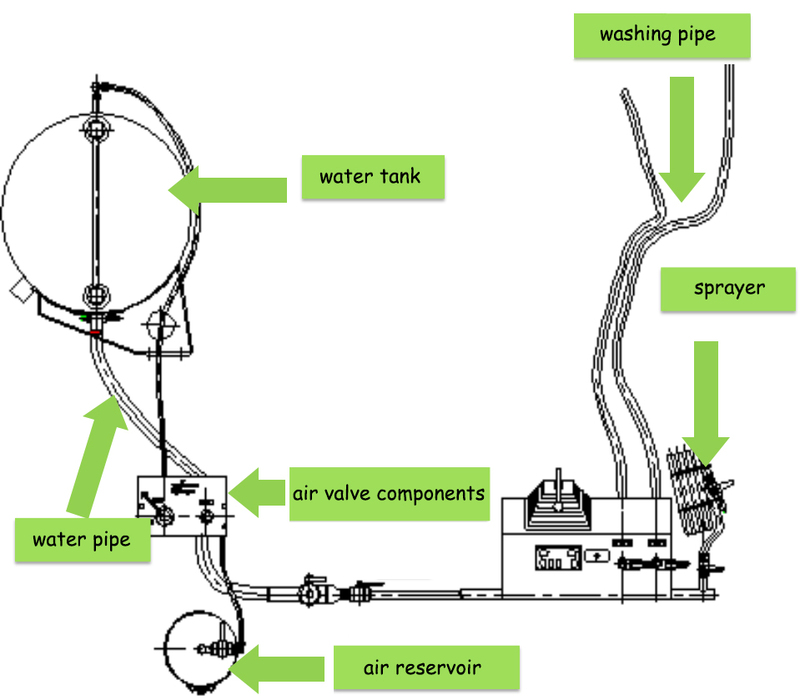 Hydraulic system. It is used to convert engine power into hydraulic energy and then through motor is mechanical energy, which can provide mixing cylinder with power. a crucial role in preventing concrete resistance and disintegration. There are blades in the tank, which is to mix and guide materials. 4. Discharging system. It is made of main discharge groove, ancillary discharge groove, locking lever, etc. Ancillary discharge groove is to extend the length of main discharge groove. 5. Cleaning system. It includes pressure water tank, water gun, water pipe, valve, etc. We adopt pressure water supply, the main function is to flush the hopper, mixer tank and discharge groove after the loading and unloading of materials and to prevent concrete bonding. 6. Ancillary chassis. It is the main supporting part, including girder, front support and back-up support. The load is almost supported by it during the operation and passed to chassis. Moreover, it plays an important role in easing the effect of impulsive load caused by road bump and deceleration. 7. Control system. It forms controller, universal driving shaft, flexible shaft and link mechanism and it is used to control rotating speed and direction of mixer tank. 8. Roller system. It connects agitating back and ancillary chassis used to support mixer tank body. 9. Feeding system. 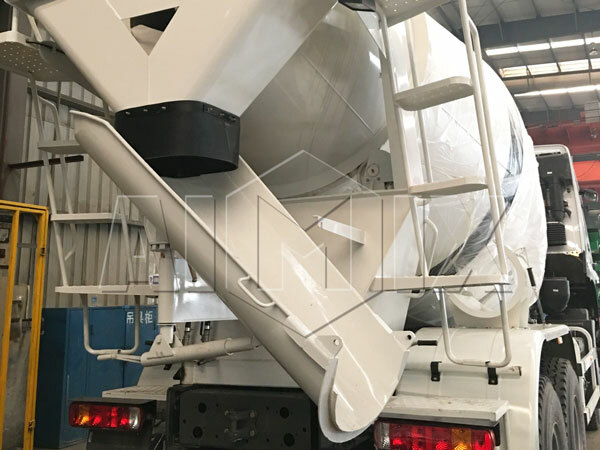 It is made of feeding hopper and support, feeding hopper is greatly worn by the impulsive impact, chassis is to reduce the impact force. 10. Electrical system. 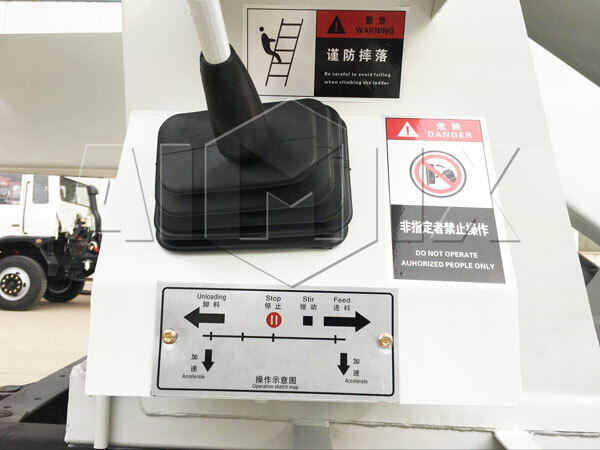 It mainly refers to the whole circuit of the mixer truck, includes the tail light of the truck, side marker lamps, market lamp and cooling fan machine. 1. Mixing principle. PTO gives the power of the engine to small drive shaft, and hydraulic pump and motor are driven by small drive shaft, drive mixing cylinder through the reducer. 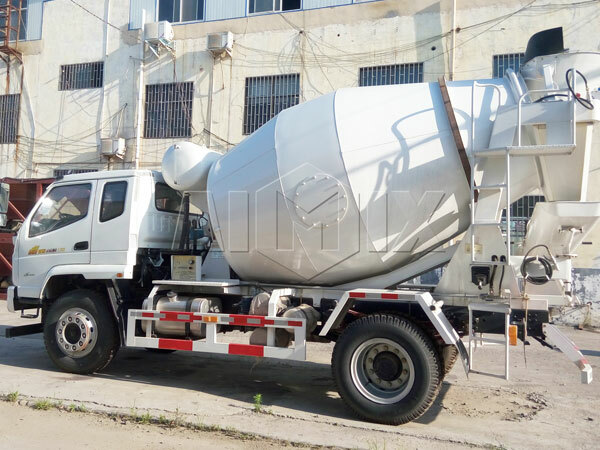 During the concrete transportation, it is necessary to keep the mixer tank at a low speed of q to 3 revolutions per minute to ensure the uniformity of the concrete and meanwhile, prevent the disintegration of concrete. 2. Loading principle. 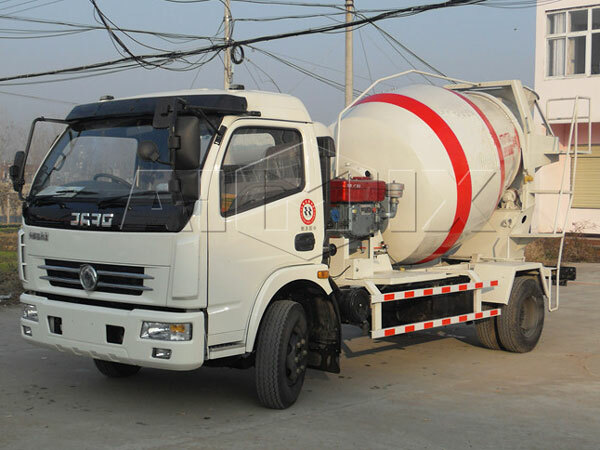 Concrete agitator truck can rotate faster when loading the concrete, the speed is 6 to 10 revolutions, concrete enter into mixing cylinder from conduit of cylinder mouth through feeding system, and flow to the lower part of the mixer under the guidance of spiral blades. Attention please: rotation direction of tank body during the loading process should be in accordance with transportation process, otherwise, concrete will be discharged in the process of transportation. 3. Discharging principle. 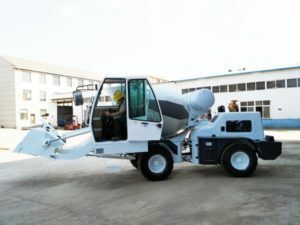 During the process of discharging, engine will convey the power to mixer tank through PTO, hydraulic pump and reducer, etc, and drive the tank body to rotate, speed is 3 to 14 revolutions per minute; under the pushing effect of the screw motion of blades, concrete will move to cylinder mouth and be discharged through the discharge hopper. At the moment, rotation direction of tank body is in contrast with direction of materials feeding. 4. Cleaning process. Pressurize water tank through the air cylinder of braking system, and then water through the pressurization will clean mixing system, loading mouth and discharge system, etc. 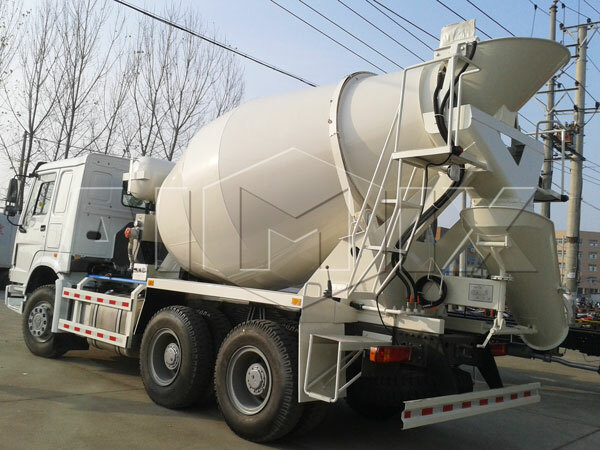 It is well known that trailer concrete mixer is a cost-saving machine with multiple functions. 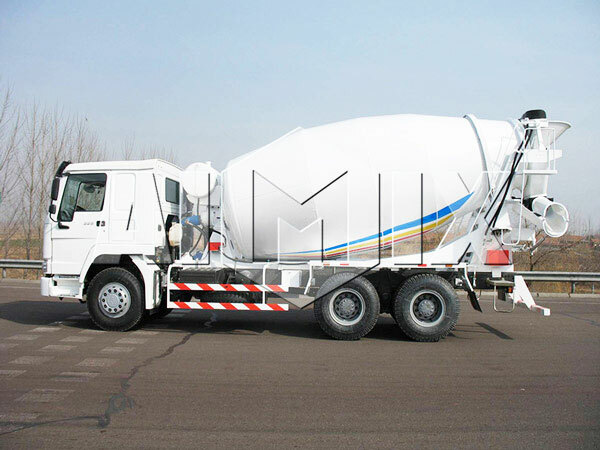 And its main function is to transport concrete mixture, so where does the concrete come from? 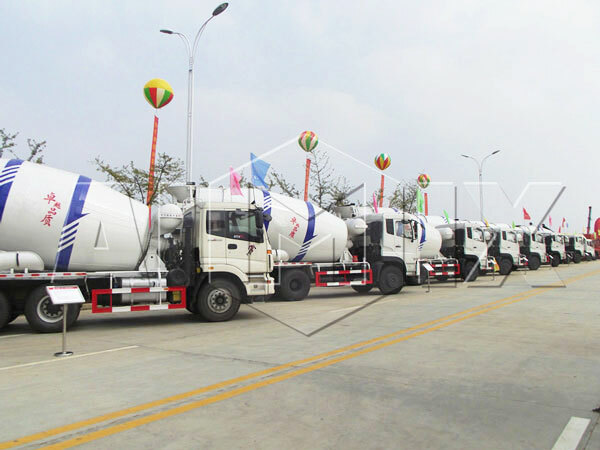 Concrete batching plant, concrete mixer truck and concrete pump is a complete concrete production and transportation line. 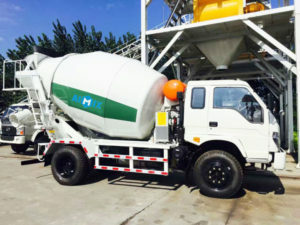 When concrete is produced by concrete batching plant, through discharge system, concrete will be discharge into concrete mixer truck, and concrete truck will convey concrete to construction site, in construction site, connect concrete mixer truck and concrete pump, concrete will be conveyed to the concrete pump and then, conveyed to the building by the pipeline. 6. Clean operation and stable performance. 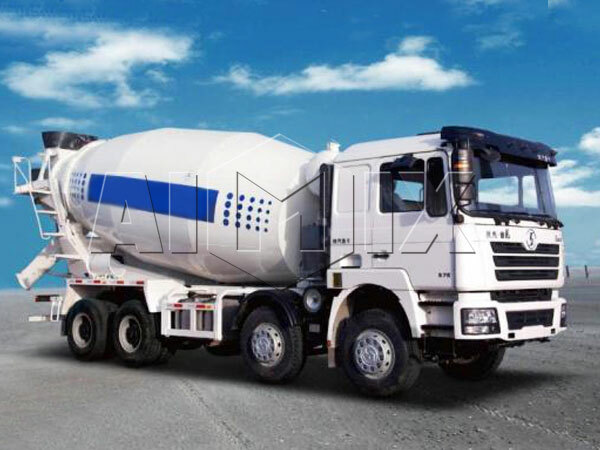 As one of the most prestigious cement truck manufacturers, we aim to provide you with the best product and the most superior service. Welcome to give us an inquiry!